The expansive, palm laden, pearly-white sands of Diani beach stretch miles followed by Galu Beach which stretches for many more miles with both beaches having up to about 100 metres white sandy beach at low tide. The turquoise warm waters of the Indian Ocean are host to stunning coral reefs and huge marine life. Diani is considered to be the Kenyan Coast’s top resort town. The beach road has open air shopping centres, Italian cafes, bars, restaurants, beach bars & restaurants, banks and curio stalls. Diani’s airport allows easy access to all major game parks making it an ideal place to start and end a flying safari. • Diving – with over 25 world class dive sites including a plane wreck and several dive companies to chose from. • Snorkeling trips off Diani Beach or take a dhow trip to Kisite Marine Park followed by a crab lunch on Wasini Island. • Dolphin and whale shark spotting. • The strong coastal winds provide excellent Kite and Windsurfing conditions with plenty of kite schools along the beach. • Microlight over the coastal strip between Mombasa and Wasini, hopefully spotting whale sharks and dolphins and finding your Diani House or Hotel from the air. • Skydiving onto the beach. This is only one of 5 locations in the world where you can land on a beach! • Diani Beach is famous for it’s black-and-white colobus monkeys, that roam around the forest and gardens eating leaves off the trees. You cannot fail to see these wonderful creatures. • Close by is the Shimba Hills National Reserve, a wildlife reserve which looks out over the Indian Ocean. • Plenty of bird spotting. Diani Beach has a variety of restaurants of all standards, beach bars, discos and night clubs. Supermarkets, several shopping centres, airstrip, public transport. 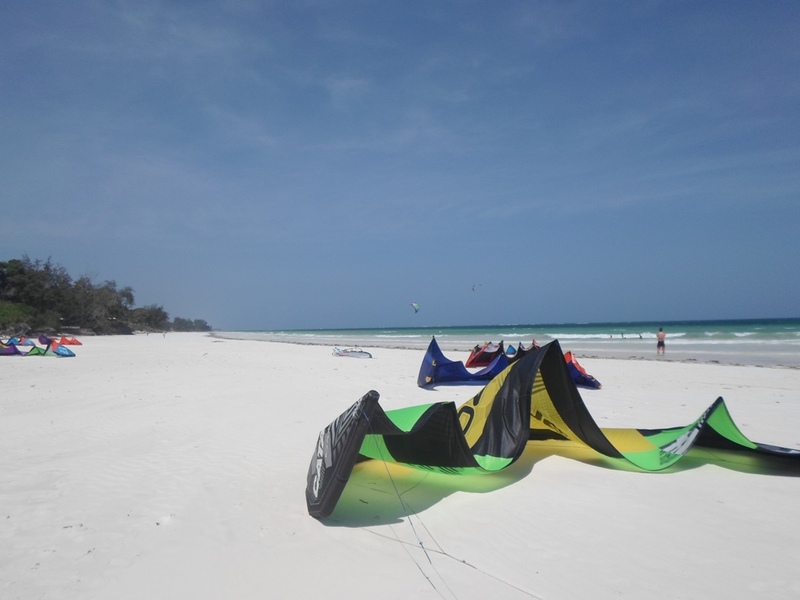 Diani Beach is blessed with regular winds that pass through. December to April are the hottest months, reaching an average of 31°C throughout the day. July and August are the cooler months, reaching just 27°C as a high. The rains usually arrive in April, May, and November while January and February are the hottest months.